Among the many easy magic tricks that I teach here on The Spruce, there are many that I feel are particularly good for young kids to learn and perform. 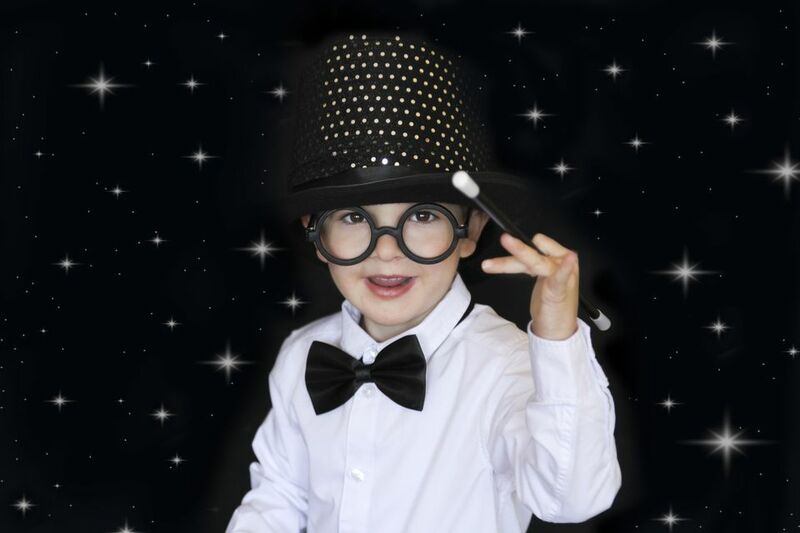 In general, the magic tricks have to easy understand, simple to learn and perform and employ materials that kids and parents have around the house. So here, in my opinion, are the best easy magic tricks for kids. Before you purchase a magic kit, save the money and try the tricks here instead. How to Find a Selected Card - Method 2. If a young kid is going to perform his or her first card trick, I think that this is the one. It's a basic "find a card" trick, the best-known magic plot in the world. The method is easy to understand, learn and perform. If a kid knows and recognizes the different cards, they're ready for this trick. 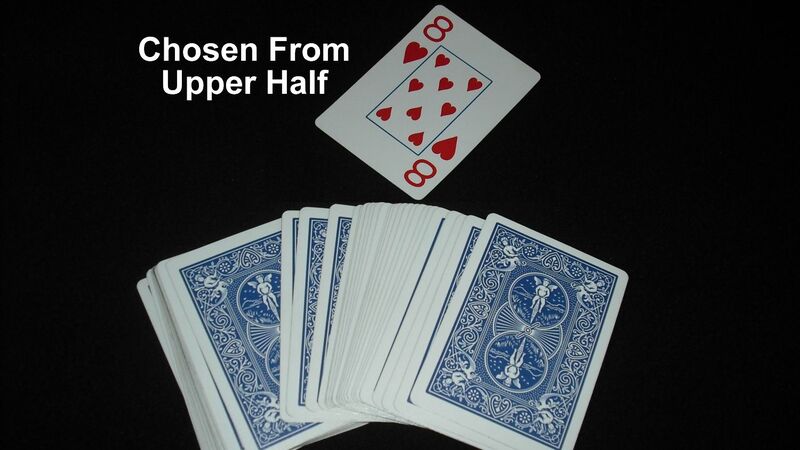 Learn how to make a playing card float above your hand in this easy magic card trick. The magic happens courtesy of a gimmick that I teach you how to make. Happy flying. Magic Tricks for Kids: The Magnetic Pencil. In this easy magic trick, a pencil mysteriously adheres to your hand, almost as if it is magnetic. Best of all, the only object that you need is a pencil or pen. Here's a magic box that you can make to produce ribbons or a small handkerchief. It's a fun construction project and the trick is easy to learn and perform and is perfect for kids. Furthermore, it's a trick that a kid can perform in a show. Have fun with this one. Science Magic Tricks for Kids. Part magic trick and part science experiment, the magic tricks here are based on some scientific principle. Learn and perform the trick and explore a scientific principle. How to Vanish a Coin Under a Glass - Easy Magic Trick. Easy Magic: Floating Cup Trick. This is a first rate floating cup trick for beginners and kids. It all happens courtesy of a gimmicked cup that you can easily make and a bit of an illusion with your hands when you perform the trick. I offer instructions here. This one is probably more of a stunt than a magic trick, but you tell spectators that you can cause two paper clips to mysteriously link and then jump - all without touching them. It’s all in the setup and I’ve seen five-year-old kids successfully perform this one. Magic Tricks for Kids: The Clipped Card. This one is a challenge that’s based on an optical illusion. You will need five playing cards that you will effectively destroy. But this magic trick is a great one for kids and it’s worth it. Once you make it, kids can carry it around and perform it for a long time. Magic With The Help of Starbucks. Here's a great trick for kids to learn and perform and all you need is a coffee stirrer from your neighborhood Starbucks. Bring home a coffee stirrer the next time you pick up a latte and follow my step-by-step instructions and video. Magic Tricks for Kids: The Necklace. A little harder because of the setup, in this magic trick, you cause three beads to apparently pass through the string that’s holding it. All you need are some beads and string. This one is best for older kids, say seven and up. Magic Tricks for Kids: The Jumping Rubberband. Here’s a great trick that can be performed anywhere and all it takes is a rubber band. Kids will need some assistance learning this one, but once they’ve got it, they’ll have a great trick that they can demonstrate anytime that they come across a rubber band. Easy Magic Tricks That Kids Can Craft. Looking for some craft projects for the kids? How about some crafts that allow the kids to create magic tricks? If so, you’ll find them in this collection. Magic Tricks for Kids: The Rubber Pencil. In this magic trick, a pencil is shown to be solid but then appears to be made of rubber - it looks like it’s bending. It’s all thanks to an optical illusion and all you need for this one is a pencil or pen. Magic Tricks for Kids: The Vanishing Bead. You don’t have to vanish a bead with one. The prop, which you make from a paper cup, can be used to vanish any small object. It’s perfect for young kids, however, a grown-up will have to help them prepare the cup. Magic Tricks for Kids: Cold As Ice. Who wouldn’t want to cause water to somehow instantaneously freeze into ice? This one is a bit messy, admittedly, but with some grown-up supervision, kids can effectively perform this feat. Magic Tricks for Kids: Sawing a Lady in Half. This is a close-up version of the famous stage magic trick - perhaps the most famous magic illusion in the world. Here, you seemingly cut a paper lady in half, and she remains whole. Kids will need some help with the creation of the props as well as set up the trick, but this one is well worth it. Here's an easy magic trick where you seemingly cause a ring to pass through some string or escape from the string. It's an excellent trick for kids and beginners as it's easy to learn and perform. Also, all you need are a string and a finger ring, bracelet or washer. Magic Tricks for Kids with Cards. Got a deck of cards that the kids can use for magic? Then here’s a collection of card magic tricks that adhere to the criteria: easy to understand, learn and perform. Check these out.